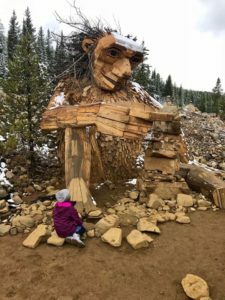 Thomas Dambo will create three Forest Giants sculptures in the Berheim Forest arboretum using recycled wood from our area. The Forest Giants are finished! 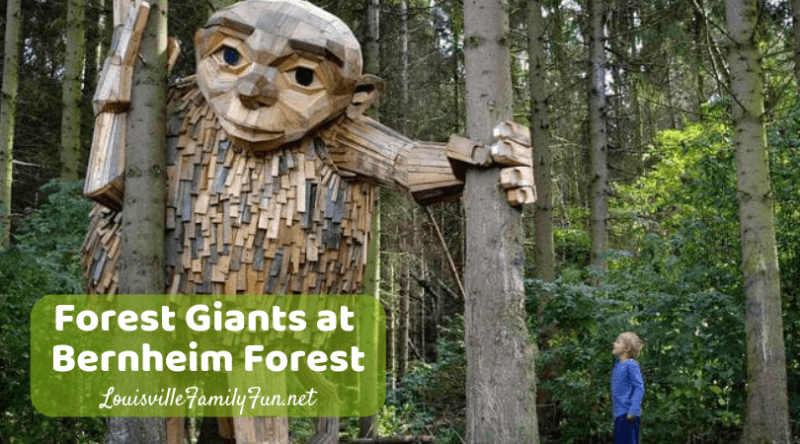 The giants are expected to be at Bernheim Forest for 3-5 years. Visit Bernheim to marvel in how amazing these giants are, take fun photos, and enjoy special programs designed around these creations. Free admission Monday – Friday. Saturday, Sunday and Holidays: $5.00 per car, minivan or motorcycle; $10.00 per van, RV; $25 per bus. Plan your visit here. Thomas Dambo is a Danish artist whose work you can see more of on his website. His team began work on February 20th with his team so that you will be able to visit and find these forest giants throughout the spring. Also, you will be able to visit while they are creating the giants and see the team in progress while they create these giants. It is now open! 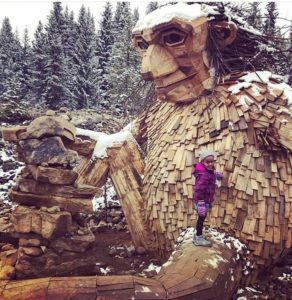 The project will be called “Forest Giants in a Giant Forest.” The giants are expected to be at Bernheim Forest for 3-5 years. I took a moment to look through the artist’s Facebook page and the giants are so impressive. I am really looking forward to seeing the unique creatures he and his team make for Bernheim. Check out this video below to see his work. What a fun scavenger hunt this will be for families visiting Bernheim Forest! You can keep tabs on the progress by checking the Berheim website landing page for this project or the Bernheim Facebook page. We will certainly keep you up to date as well! 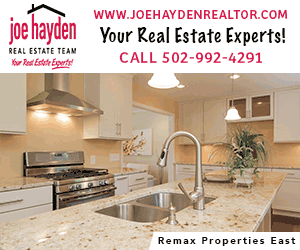 Check out our events calendar for all that is happening around town!